There is perhaps nothing more relaxing on earth than whiling away an afternoon with a book and a cup of tea. But finding the perfect spot to do so can be a challenge. The kids are yelling, animals need walks, spouses are watching television at top volume, and the list goes on. What you need is a reading nook and a cozy little space to escape the world in the comfort of your own home. Luckily, Furniture Fair is here to help with all of the furniture and accent pieces you need to create the reading nook of your dreams. Read on for all the must-haves. 1. Pick the right spot. The first thing you need to do when you’re setting up your ultimate reading nook is to pick a spot in your house. Maybe you’re blessed with a home office or study just waiting to be transformed into the tranquil paradise of your dreams, or maybe all you can spare is a corner of the living room or bedroom. Whatever you have, try to center your space around a cozy corner or a window streaming natural light. You’ll want to start with a spot removed from the familial chaos so you feel comfortable, relaxed, and in control. 2. Choose your perfect reading chair. 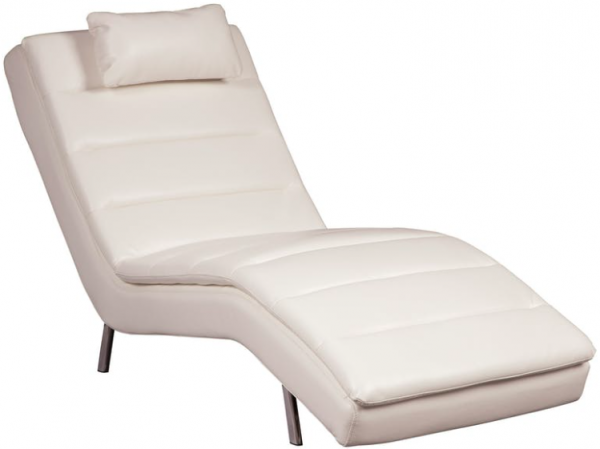 The pièce de résistance of any great reading nook is the perfect chair, but perfection is highly subjective! Do you long for the soft, pillowy comfort and adjustable ease of the Hogan Mocha Press Back Chaise, which blends into any decorative scheme with its soothing earth tones? Perhaps you’d prefer to read in style with the chic leather Goslar Chaise and its thoroughly modern aesthetic. Maybe you want something more classic with a touch of flair, like the medallion-fabric-printed Bennington Chair, which adds a pop of color and pattern to any room. 3. Find a bookcase and fill it up! Sure, you can spend your downtime scrolling through your smartphone or pecking away at an iPad, but the true joy of a classic reading nook is the chance to unplug, unwind, and delve deeply into the pages (as in paper!) of a book. And what do books need? Bookcases, of course! Furniture Fair offers a wide array of options to choose from. Have your own library? 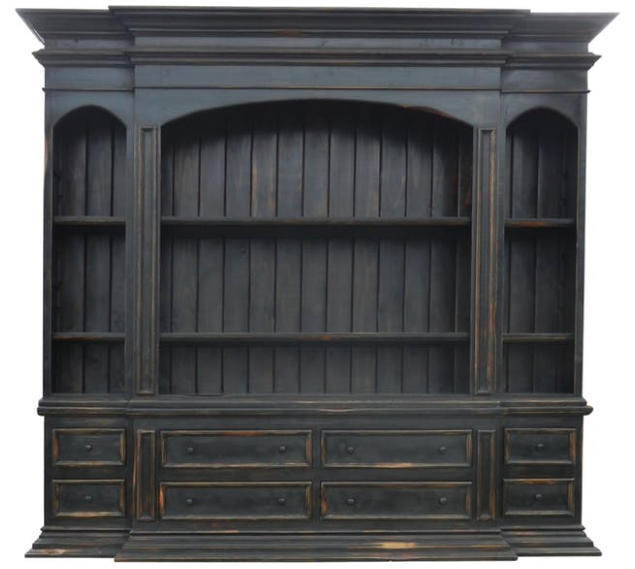 Take a traditional route with an instant heirloom like the hand-carved, solid-wood Roosevelt Bookcase. Like to keep things sleek and edgy? Opt for the Bryan Keith Bookcase Pairand its unexpected asymmetrical angles. Want some flexibility with a vintage touch? Try the Santa Maria Bookshelf, which has wheels for easy relocation. 4. Create ambiance with the proper lighting. Reading under harsh overhead lighting is no fun, and having a great light source in arm’s reach is key when it comes to spending hours curled up with the latest paperback. Usher in some old-school vibes with a vintage-looking table lamp, like the Antique Brass Table Lamp from Anthony California, or choose a more contemporary stand-up option, like the three-armed Madison Arc Floor Lamp with mesh metal shades. 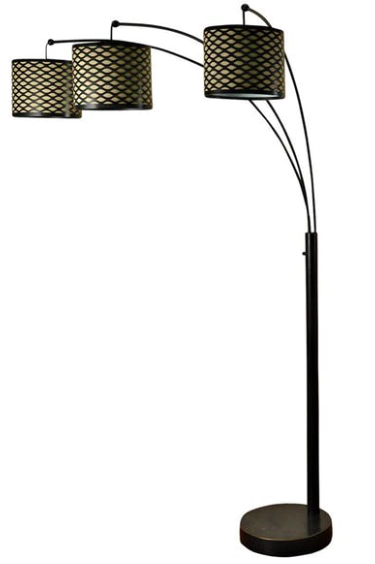 Some models even come with a built-in table, like this Lite Source Floor Lamp with Glass Table, perfect for a spot next to your reading chair so you can set down your cup of tea or tall glass of reading wine (yes, it’s a thing). 5. Finish the look with a few comforting touches. A personalized reading nook is your own little slice of heaven on earth, and you should spare no detail when it comes to making it cozy. A blanket like Loloi Rugs’ Duke Black Stripe Throw, which is reversible and handcrafted in India, is a must. So are some cute, fluffy throw pillows, like this vibrantly patterned Morning Accent Sun Pillow from Rizzy Home or this plush velvet Paros Pillow from Classic Concept Classic Home. The rest is up to you. A crackling fireplace, perhaps? How about a bit of greenery? Your nook is your oyster. The post How to create your own reading nook appeared first on Style & Flair Blog by Furniture Fair.